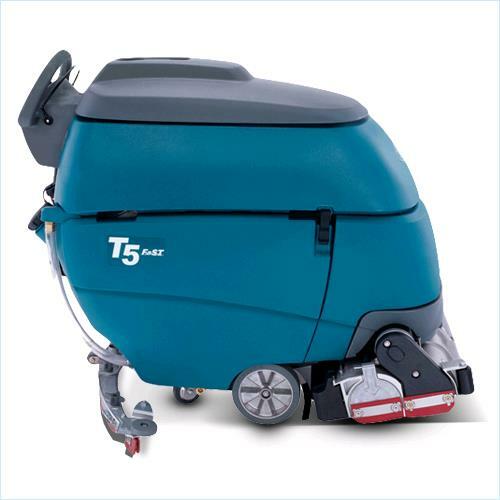 TENNANT 26" CYLINDRICAL BRUSH AUTO SCRUBBER SPRAYS WATER or CLEANING SOLUTIONS ON FLOORS, SCRUBS THEN VACUUMS IN ONE PASS. USE FOR CLEANING,SCRUBBING OR STRIPPING HARD SMOOTH FLOORS. Minimum Aisle turn 62" Productivity Rate Approx 19,000 sq ft per hr. Solution flow rate: low .25 gpm med .35 gpm max .45 gpm. * Please call us for any questions on our scrubber floor 26 inch auto cylindrical rentals in Portland OR, Gresham OR, Milwaukee OR, and surrounding metro area.